- B-Tech in Computer Science from Bharati Vidyapeeth College Of Engineering - 7.5 Years of Experience in Software Industry. - Working as a Lead In Software Company (Impetus) - Highly experienced in Big Data Technologies Hadoop and Data Science - Great command in Mathematics and Science at all levels. 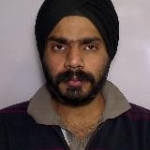 Did you find Karan Preet Singh via LearnPick?